Make your baon more interesting with these delicious eats! If you find yourself running out of ideas for your sandwich pambaon, try adding one or two new ingredients to the mix! 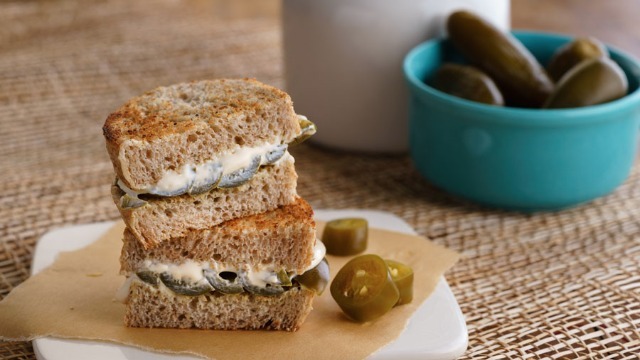 Consider incorporating vegetables and other ingredients like Arla Cheesy Spread. Made from natural ingredients, Arla Cheesy Spread is made from 90% fresh cow's milk, rich in Vitamin A and calcium, which can help give you energy through work and school! Not to mention it's tasty too! If you're running late for work, try this 10-minute grilled cheese sandwich with a twist. Simply add peanut butter in the mix! 1 Heat a skillet over medium heat. 2 Spread peanut butter on one slice of wheat bread. 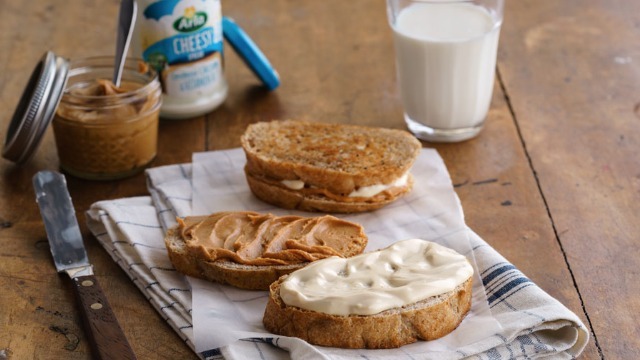 3 Spread Arla Cheesy Spread over another slice of wheat bread and sandwich them together. 4 Spread butter on the outer sides of the sandwich, and place in the hot skillet. 5 Fry on each side for 3 to 5 minutes or until golden brown and cheese has melted. Here's a nice way to incorporate eggplant into your diet. It also makes your classic cheese sandwich less boring. 1 In a large bowl mix together the vegetable oil, garlic, salt and pepper. 2 Toss the eggplant in the marinade. 3 Heat the grill and brush with oil once it's hot. 4 Place the eggplant directly on the grill, cooking both sides for 3-5 minutes. 5 Season with additional salt and pepper if desired. 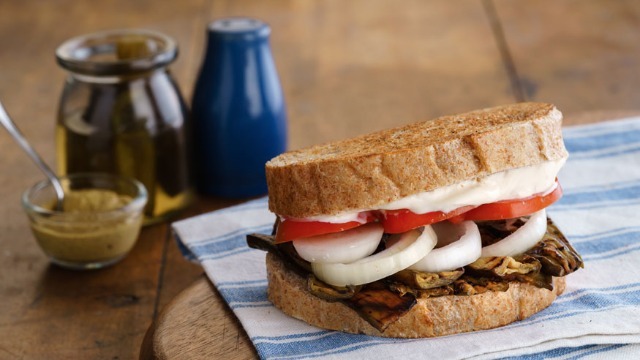 6 Brush the outer sides of wheat bread with oil and then assemble the sandwiches with the grilled eggplant, Arla Cheesy Spread and optional condiments. 7 Grill the sandwich, weighed down with a skillet or grill weights until both sides are golden. This classic pairing is not only good for parties and movie nights – you can also turn it into a delicious pambaon. 3 Toss the jalapenos with 1 tablespoon olive oil, salt and pepper and lay skin-side up on the prepared baking sheet. 4 Bake for 10-15 minutes or until the skin is blistered. 5 Place in a plastic bag for about 5 minutes to loosen the skin. 6 Pull off the skin, remove the majority of seeds and ribs and slice. Set aside. 7 Spread Arla Cheesy Spread on 4 slices of wheat bread. 8 Take 4 more slices of wheat bread and top with the jalapenos. 9 Sandwich together and butter both sides of the bread. 10 Heat half of the remaining oil on a flat griddle over medium heat. 11 Grill one side of the sandwiches until golden. 12 Remove, heat the remaining oil and repeat with the second side until golden and the cheese is melted and gooey.